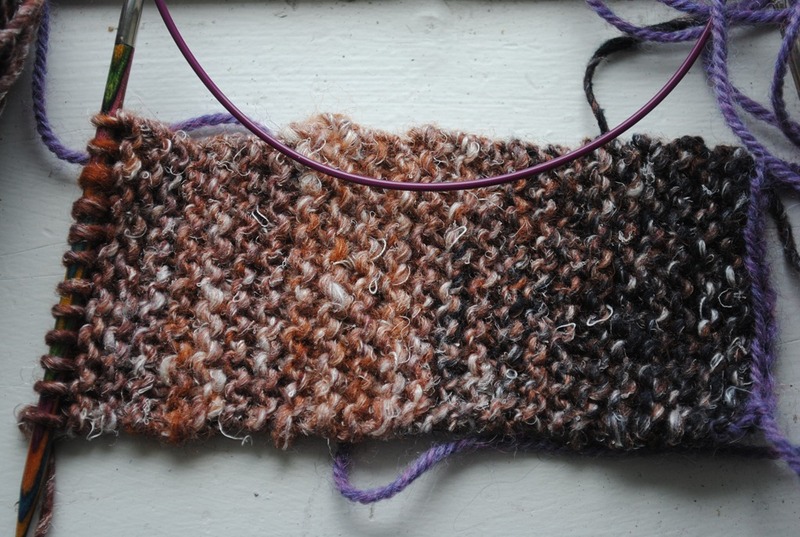 It’s time to begin the Veera Valimaki KAL over at 2012: A sweater odyssey. I chose to do something silver as i think it will be a good challenge (lace! easy lace!) and I think the light weight of the yarn and the silk content will make it good for summer, which is good as the deadline is july 1! The yarn is elsebeth lavold Silky Wool. It is a very sticky yarn! But I like it. I decided to be totally un original and choose the exact same color veera used for her cardigan in the exact same yarn. I’m glad I did, I think it works well with the pattern so far. Which I am actually a few rows further into at this point as I have been knitting since taking these photos this morning. I match my knitting! Between the dress, the yarn, the stitch marker and my nails I had to take a photo. This photo is secretly a couple days old though, and this project is MUCH further along. 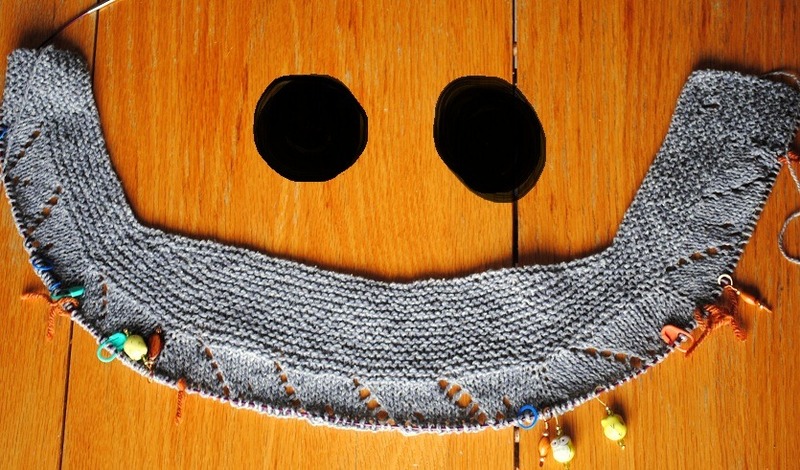 & I just want to let everyone know, we are doing a VEERA KAL at the 2012: a sweater odyssey group on ravelry. 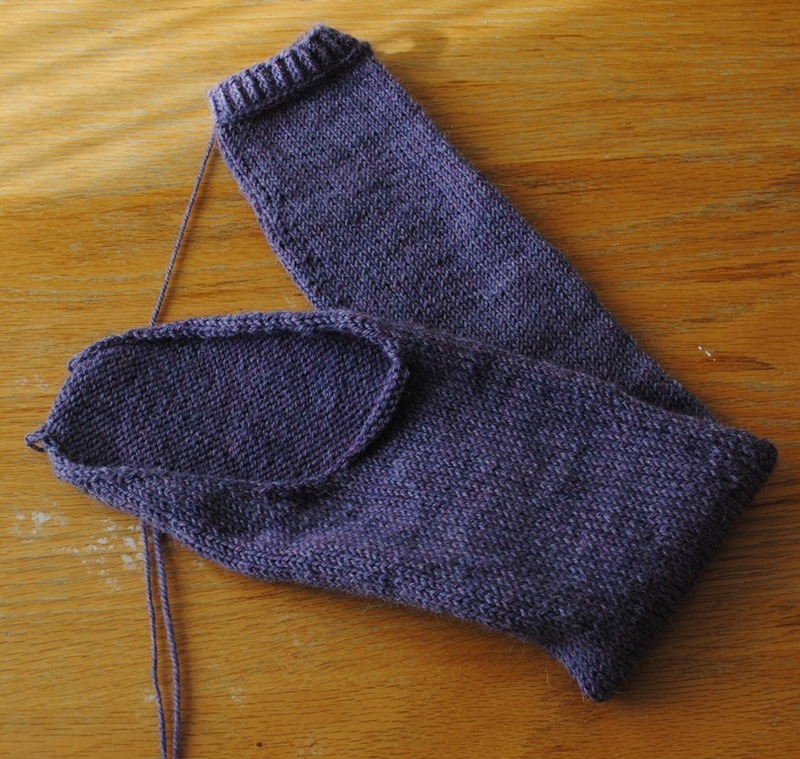 The idea is to knit 1 adult sized garment in 2 months. Last time we did Amy Christoffers which is why I now have a lovely larch. If anyone wants to join in come find us! Cast on date is may 1. 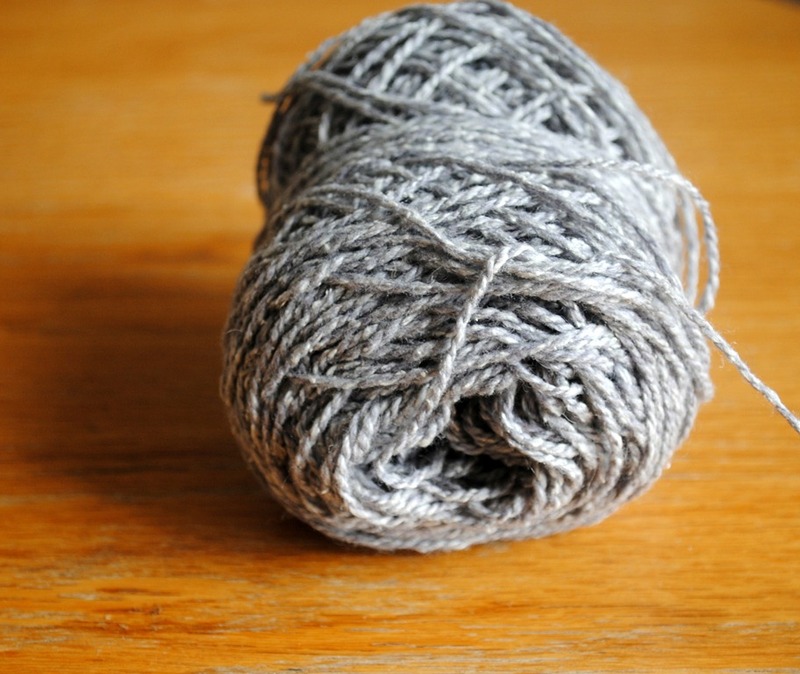 I’m starting to lean towards something silver because it is more summery and it’s an easy yarn choice (I’ll just use the elsebeth lavold silky wool used in the pattern). What do you guys think? heheh. This honestly wasn’t on purpose which is why I think it’s awesome. This is one of my WIPs this week! YEAH! Today my goal is to work on weaving in ends and hopefully finish that by this evening. At six I am going with my mom to buy needles I need for the lapis so I want to have this done so I can start Lapis right away with no guilt necessary! The KAL’s goal was to finish by the 31st of march so I am golden, and really happy with that. I started this on February 8th. Not too shabby. I am so happy that it looks okay. It definitely differs from the original pattern but in the end it worked. The extra collar stitches I worked made it form a more circular neckline, which is fine with me. I’m so happy, I keep jumping up and down (not kidding). This is my first cardigan and wow, it fits BEAUTIFULLY! If i do say so myself. I have two other things I’ve been working on today though. 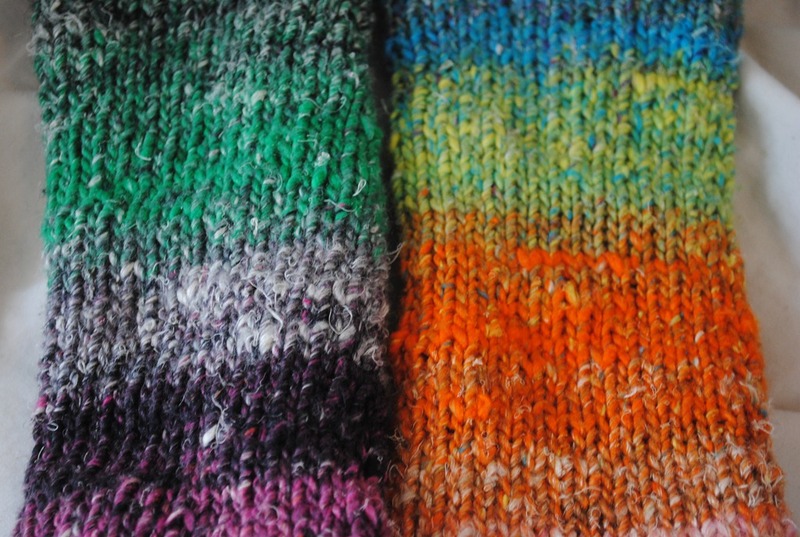 1 is another pair of Camp Out Mitts. Yes, I’ve already finished the first and not even shown them to you yet! My other WIP is of course the Lapis. I finally found that size 5 needles get me gauge and I decided to go with the red yarn I bought, which is elann Soie Bambou. I am slightly paranoid about yardage (it only came in giant cones) so I keep checking the stock on the website 😛 there was 19 left when I ordered and still 17 now so I think I will be okay IF I need to order more. I did a circular swatch so my gauge for in the round would be accurate, although honestly my flat / round stockinette hardly differs at all in tension. The silver yarn is very flashy but I think the red has it’s own sort of luminescence as well. I like the slightly tighter fabric of the red and I think it is a bit more similar to Kessa’s original yarn choice so I’ve decided that’s the one I will be using. I’m naming my project Ruby or Garnet, to go with the theme of Kessa’s Lapis title. WHEW! Okay, so that’s what I’m working on. I think I’ve got to start posting about things in their own posts and more frequently, instead of a couple of times a week I just dump project on you. Whoops! Go check out everyone else’s too, of course, at Tami’s Amis. 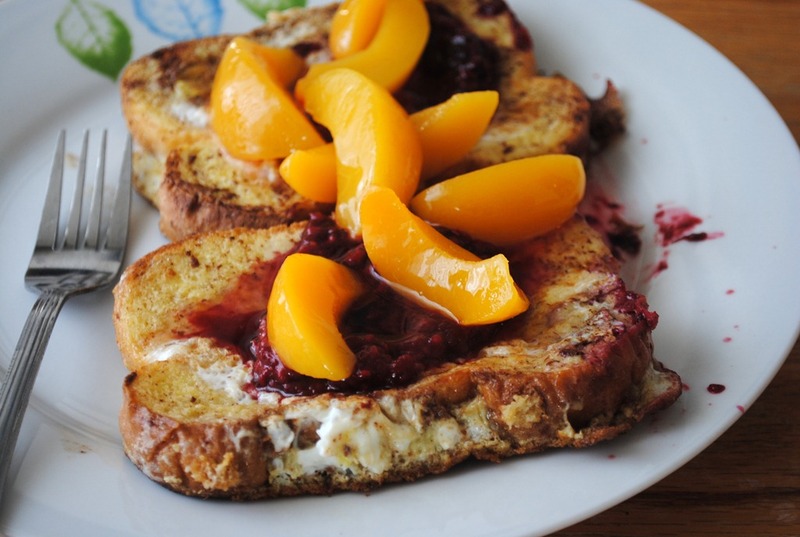 French toast with raspberries and peachy deliciousness. I’ve also been plugging away on larch. 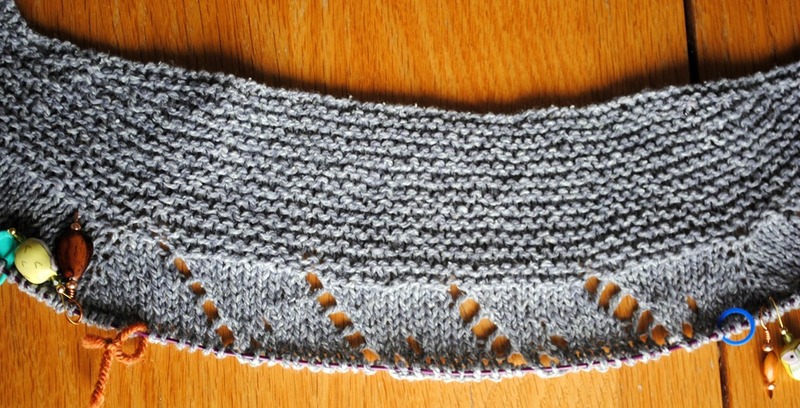 I am doing a test knit for Kessa (see it here, isn’t it beautiful? Can’t wait to get the pattern and the yarn, and get started!) soon, so I’m trying to focus EVERYTHING on this Larch before I am able to start Lapis. I really want to finish Larch within the march 31st goal but also want to totally dedicate to the Lapis once I get started. Luckily the sleeves are great travel knitting, so that’s really helping! 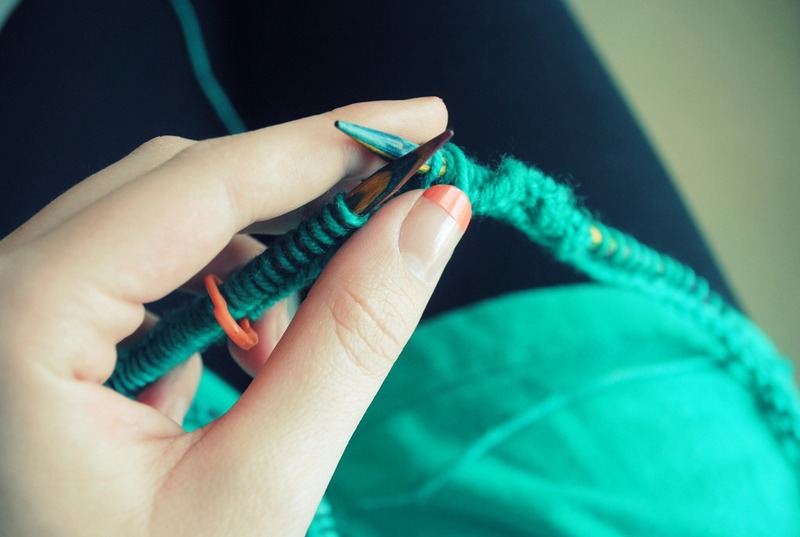 I still guess I have about a week before I start the test knit so I’m going to try and do this. The first sleeve took about 3 – 4 days so you never know, I might make it! 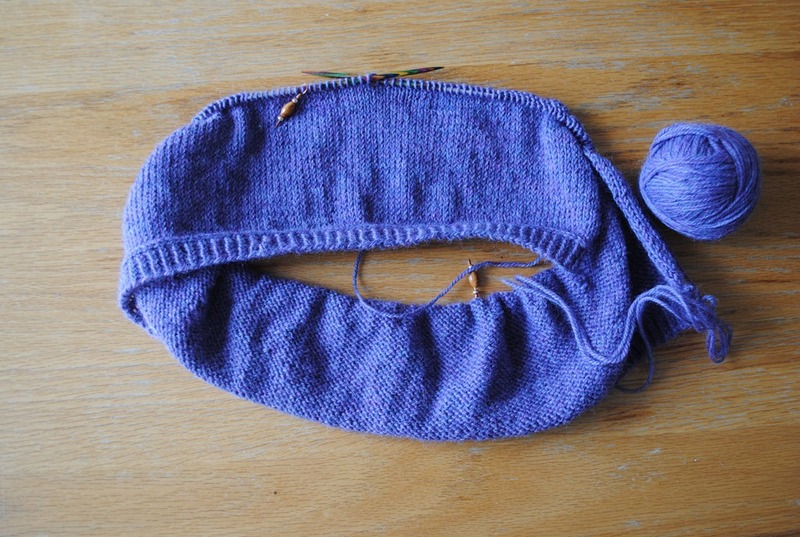 Do you think I could start on the front ribbing before I finish the second sleeve? I decided to honour my awesome frenchness (lundi = Monday in French) by doing a ‘series’ called larch lundi. Every Monday I will be posting an update about my beauteous sweater until it is done! 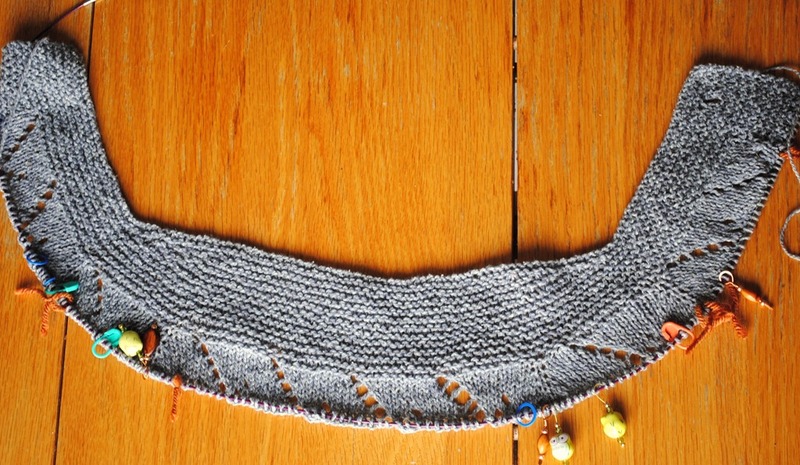 right now I am working on Larch as part of a savory knit-a–long going on at 2012: a sweater odyssey. We are all knitting one of Amy christoffers sweater patterns. I chose Larch obviously. I’m doing weekly updates because I’m working on this pretty much EXCLUSIVELY so I should be able to have something to update each week. I waited FOREVER for the yarn to come from webs but when it did I was super happy! 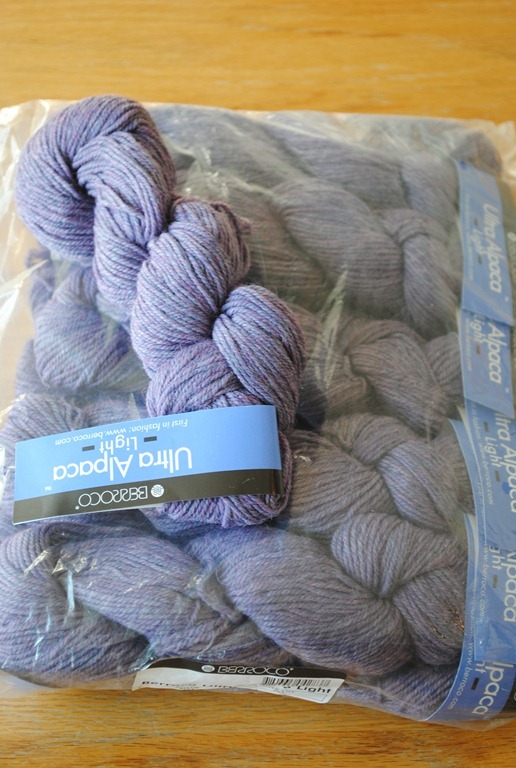 the yarn I chose is berroco Ultra Alpaca Light in Lavender mix. The pattern called for 9 skeins in my size so I bought 11. Juuuust to be safe. I’m glad I did too because I’ve decided to make this thing a little bit longer than called for. 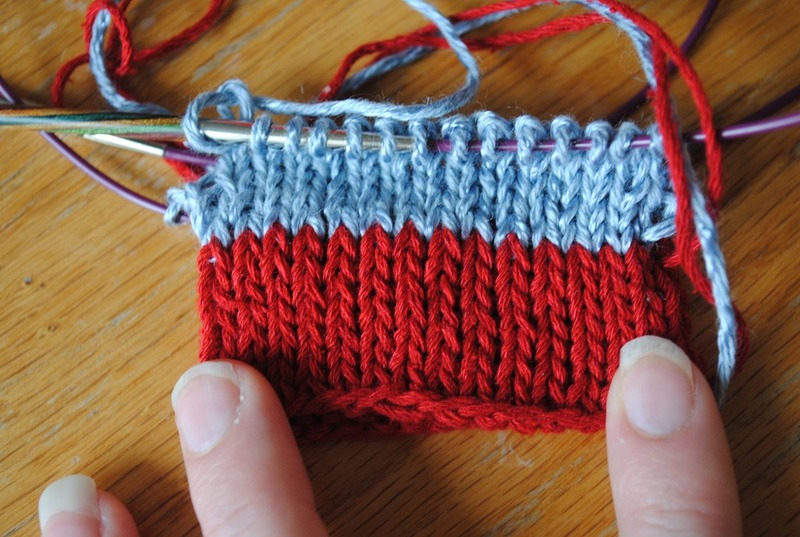 In the pattern it calls for the first part of the body before the decreases to be 4 inches long. I opted to change mine to 6 to give me a bit of extra length. Always got to make things more complicated for myself you see. 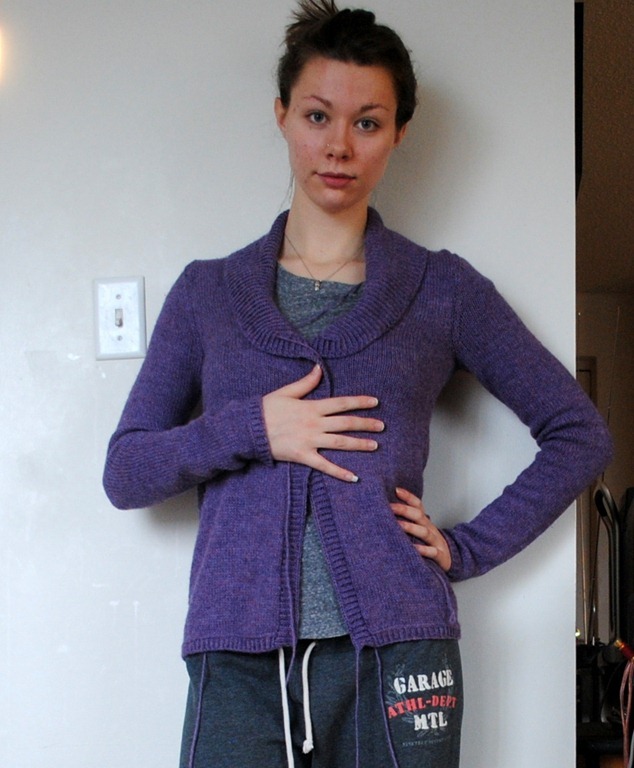 I’m 5’10’’ so I appreciate a bit of extra length in a cardigan. So here’s where I am at! 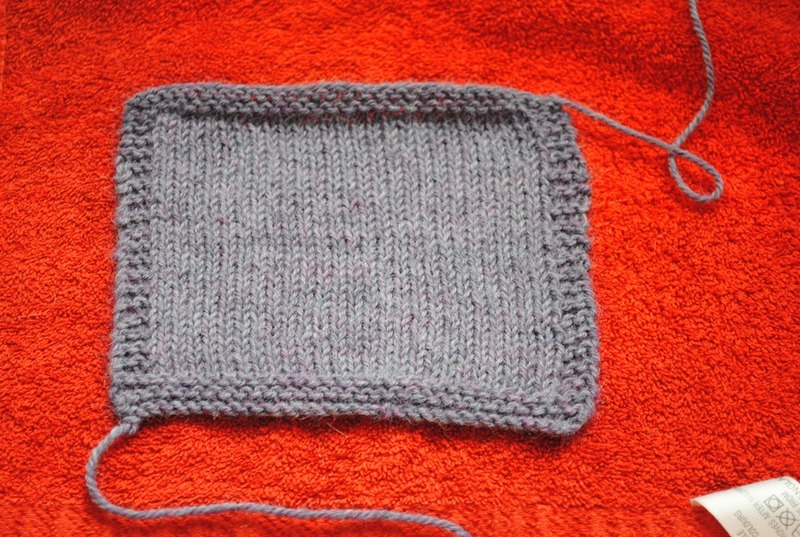 I’ve done about 4 – 5 inched of stockinette. I am on my second skein of yarn. I am in love with my sweater to be – yay! 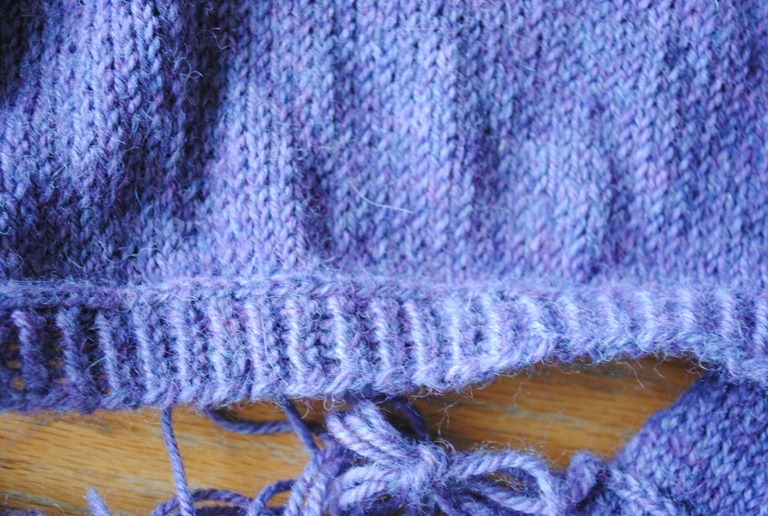 my favourite thing about it so far is this beautiful ribbing edge. It uses a cast off edge to get that lovely braid look going on. I think it is soooo nice. so happy I did it! And it really wasnt too hard or slow after I got into a rhythm. Oh and just in case you were wondering, yes, i did swatch. BAM! This is closest in accuracy to color too but still not quite right actually. Notice how every photo in this post is a different color?